5" closed. 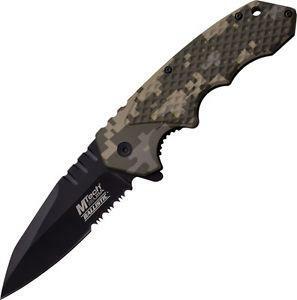 3 3/4" black finish stainless assisted opening partially serrated blade with extended tang. Checkered digital camo finish aluminum handles. Black finish stainless pocket clip.